In this riveting book written for new and veteran entrepreneurs, Johnson identifies one hundred key lessons that every entrepreneur must learn in seven areas: Strategy, Education, People, Finance, Marketing and Sales, Leadership, and Motivation. This book will warn you (of forthcoming fears, doubts, and the self-defeating conditioning of your upbringing and past), inoculate you (from the naysayers, dream-stealers, and pains of rejection and failure), and guide you (as you build those under-developed skills of independence, self-motivation, and self-accountability) safely past the landmines that blow up and cause the failure of 66 percent of all new businesses. 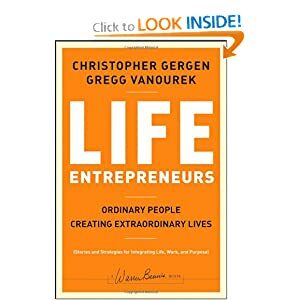 In this book, successful entrepreneurs Christopher Gergen and Gregg Vanourek draw on numerous interviews with fifty-five leading entrepreneurs worldwide as well as the wisdom of multiple thought leaders. All the things you need to know as you launch your new business, including hiring your team, developing your product and beginning sales and operations. 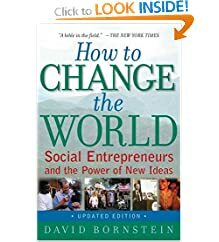 Now published in more than twenty countries, this book has become the bible for social entrepreneurship-in which men and women around the world are finding innovative solutions to a wide variety of social and economic problems. Will help everyone from independent entrepreneurs to managers of large corporations develop insights that others overlook and act on them to build the truly entrepreneurial organizations of the future. Get a grip and gain control with the Entrepreneurial Operating System. 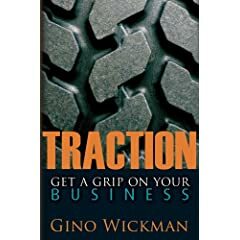 Inside Traction, you'll learn the secrets of strengthening the Six Key Components of your business.